Went to see this movie a few nights back and I've got to say that it was one hell of a great movie. The movie was hillarious yet tells so much. The movie was about a small town girl, Andrea, who landed a job in one of the worl'd leading magazine, Runway. She was hired hired as an assistant to Miranda Priestly, the high-profile, fabulously successful editor of Runway magazine. As they call it, she landed a job “a million girls would die for.” The film shows much about the high fashion world. 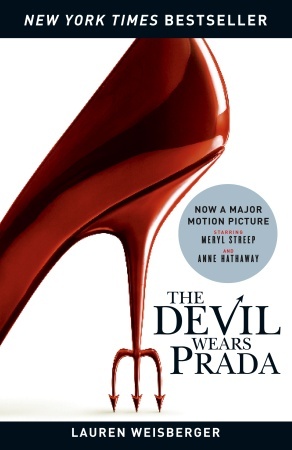 As the story goes, Andy, who have no idea or passion about fashion finds herself in an office that shouts Prada! Armani! Versace! at every turn, a world populated by impossibly thin, heart-wrenchingly stylish women and beautiful men clad in fine-ribbed turtlenecks and tight leather pants that show off their lifelong dedication to the gym. All in all, the moview show what a competitive world it is....how selfish people are and care for noone else but himself/herself. Nice movie, nice girls, nice dresses but mostly - nice shoes. The shoes the shoes the shoes..chil thli ti put.